1) Will there be a sequel for HTTK: DB for pc or console? 2) My band Oppressed Affliction are huge fans of yours and we all would love some tips as to making as music and business. Do you have any you could share? 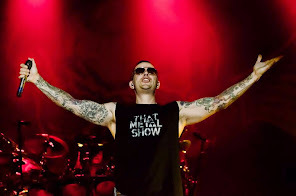 M.Shadows: Hey man - I heard your covers of the game sound track .. awesome stuff. Tips would be to just write good songs and never settle on less then that. Sequel would be great for sure.